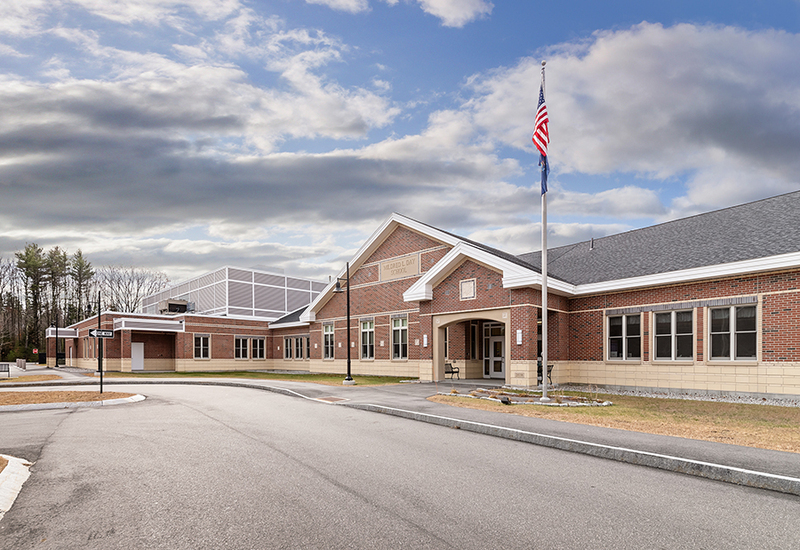 Working in close cooperation with the Lewiston School Department, Harriman staff provided site selection services for a focused-area search and confirmation of the most appropriate site for the replacement of the Pettingill Elementary School, the Raymond A. Geiger Elementary School. 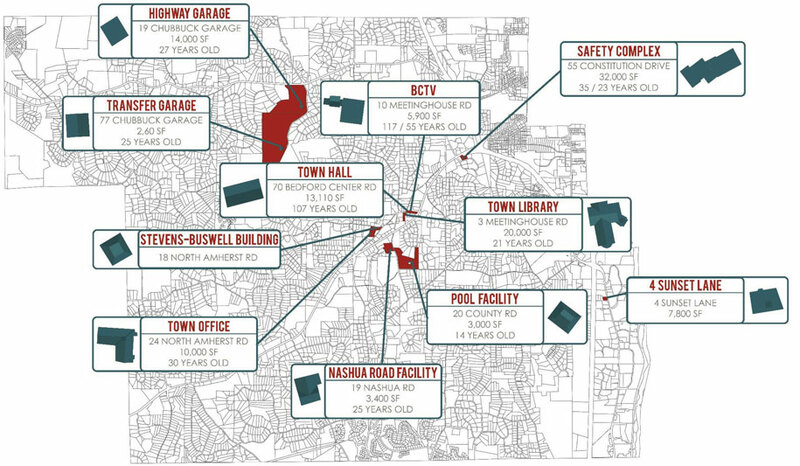 The School Department had previously identified several sites, and Harriman investigated them and identified a few other potential sites in that area of the city. 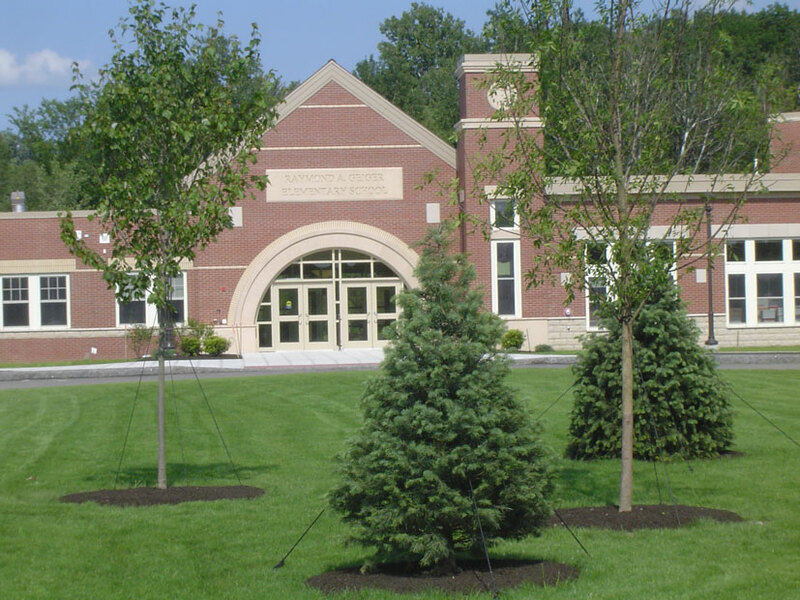 After discussing the results of the Step 1 preliminary evaluation with the School Department, three of the nine identified sites were eliminated due to remote location, poor quality streets, and powerline easements. Six sites remained for further evaluation in Step 2. 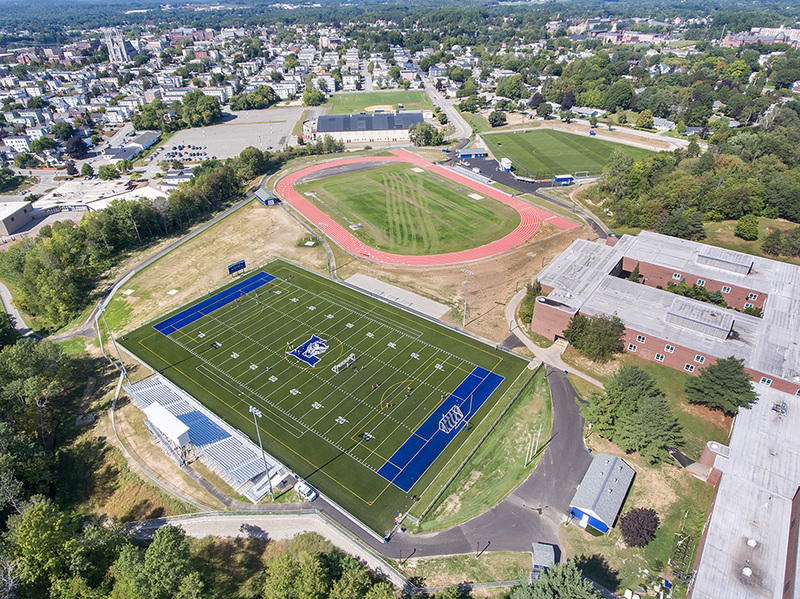 These sites were examined in the field and by available mapping, and scored on a matrix of 23 evaluation criteria, tailored to meet both the school’s needs and the State Department of Education’s site selection criteria. 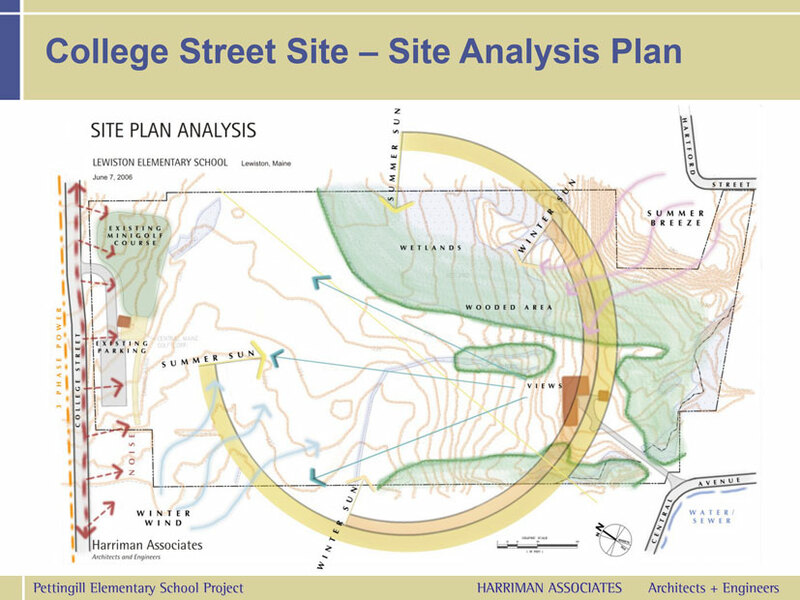 Harriman made presentations at School Department meetings, public meetings, and DOE meetings to gain input and consensus for the site selection. 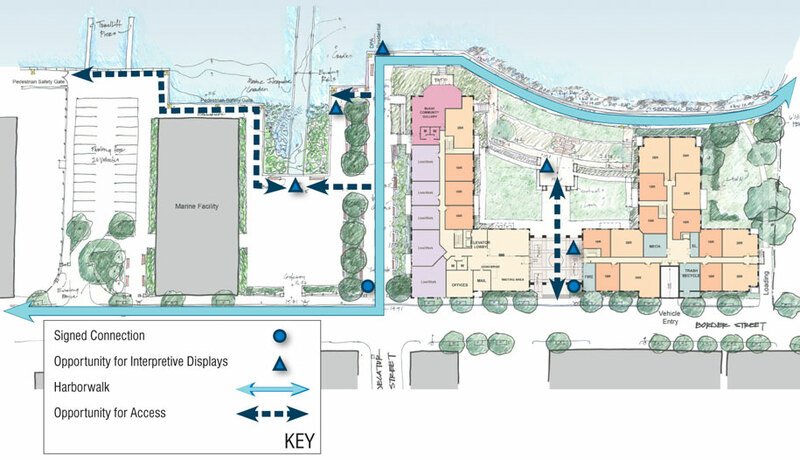 Step 2 seemed to uphold the high-quality of the site that was first proposed by the School Department. Step 3 verified the apparent top site, using soils investigations, wetland delineation, and conceptual site design configurations. 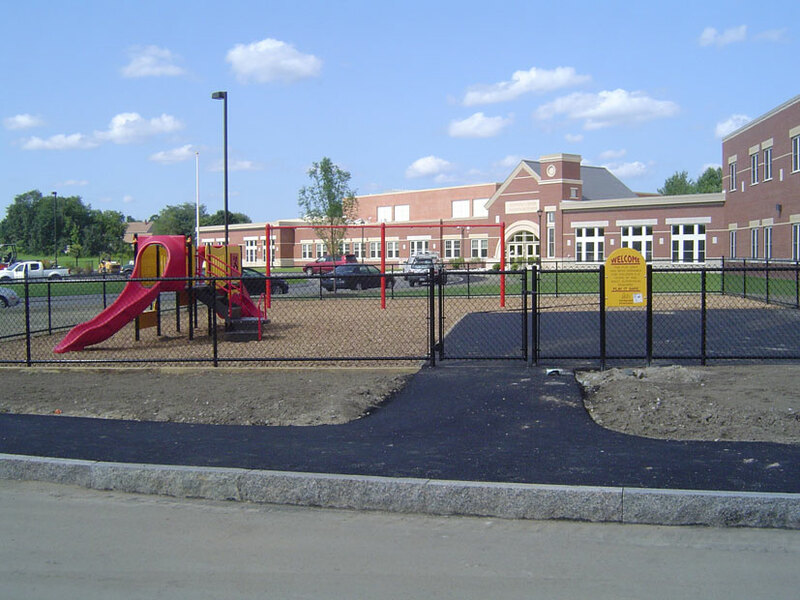 Once the underdeveloped site was obtained by the School Department, Harriman’s civil site design team designed the site components, including new entry drive from College Street, paved parking, service yard, walkways, playgrounds, utilities, and stormwater drainage and treatment systems. Meetings were held with the Maine DEP staff and the City Planning staff to develop permitting parameters. 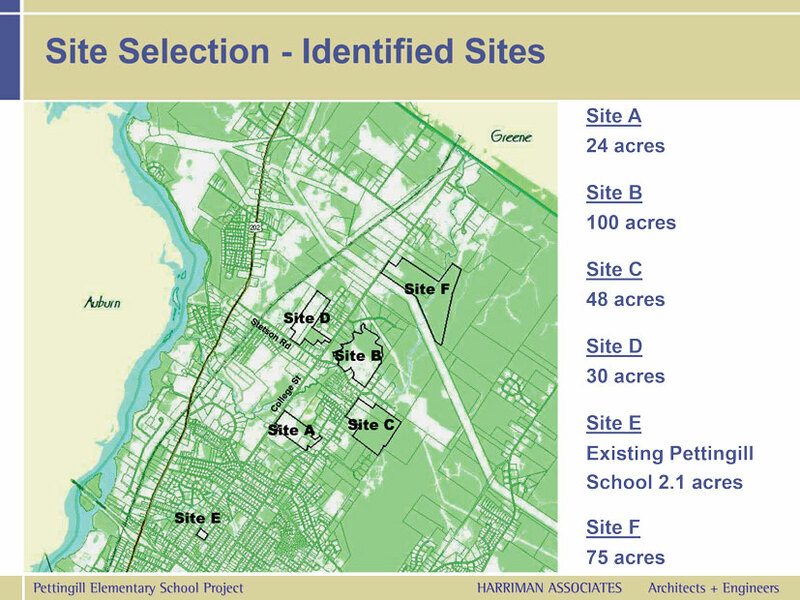 Harriman provided the full permitting documentation for the DEP Site Location Permit (administered through the City’s delegated authority), a separate DEP Stormwater Permit, NRPA Wetlands Permit, and City Planning Board Site Plan Review permit.